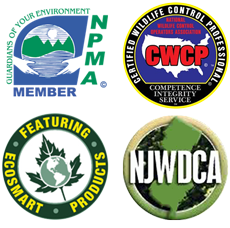 Credentials - Pest Control Service | Tuckerton, NJ | Balance of Nature, Inc.
NJ State Certified Animal Control Officer. NJ State Licensed Trapper-Snare Certified. NJ State Licensed Pesticide Applicator. Member – Southern Ocean Chamber Of Commerce. At Balance of Nature, we are committed to providing high quality Pest Control and Wildlife Removal services that protect your home and business against the devastation of termite damage, unwanted and unhealthy pests. Our history and our credentials prove it. Call us today at 609-294-1729 to find out for yourself why NJ Pest Control is your pest control professional!